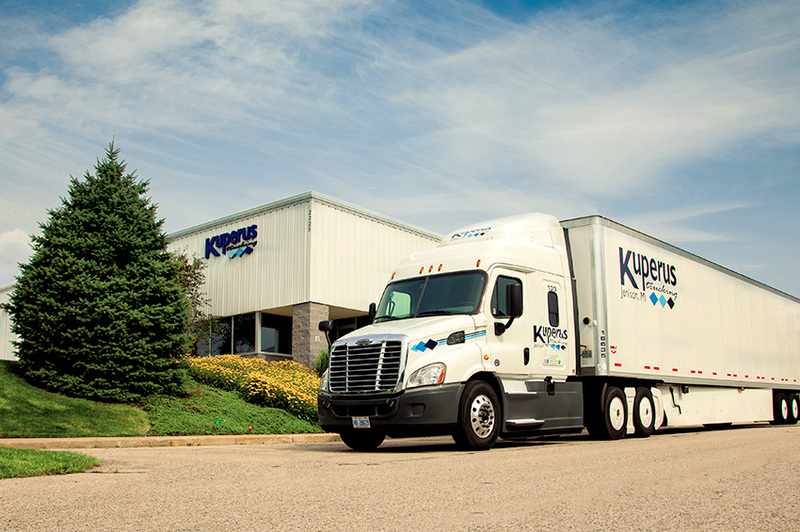 Kuperus Trucking has garnered numerous awards for on-time service, customer service and fuel efficiency. 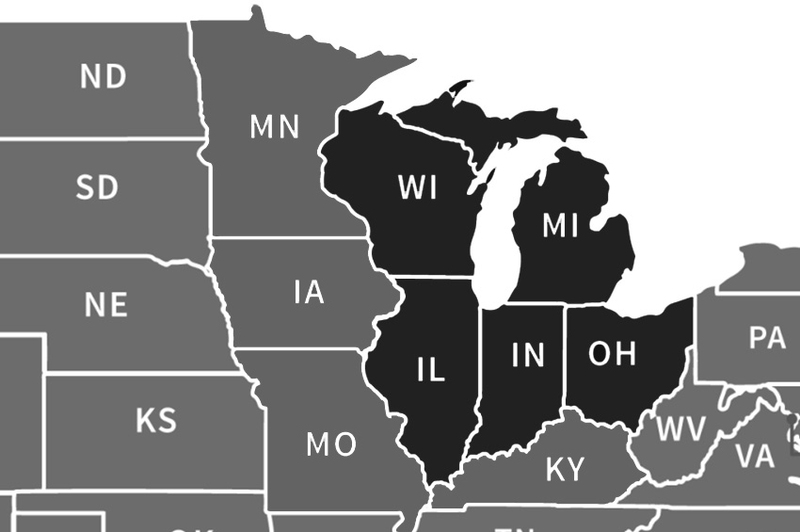 Kuperus Trucking offers competitively priced, same day and next day “Premier” truckload service within the Central States. We offer new and newer technologically advanced tractors and trailers. In addition, we pride ourselves in garnering awards for both service/customer service and fuel efficiency. 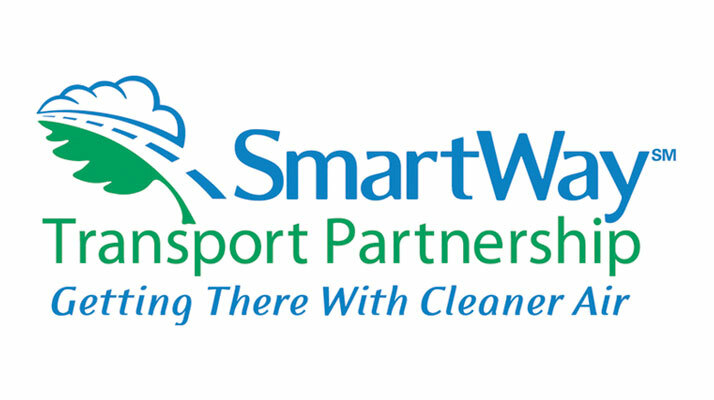 We are a SmartWay Transport Partner and have made a significant investment in testing, as well as implementing fuel savings technology on both our tractors and trailers. 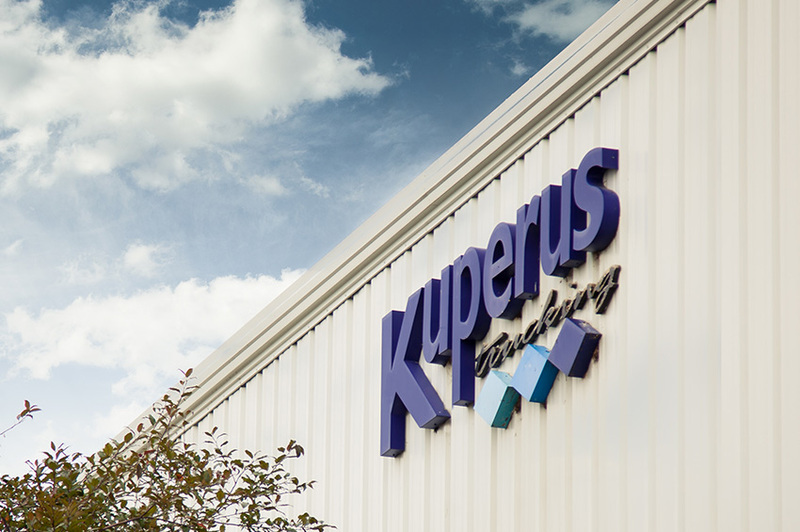 The result helped Kuperus Trucking achieve one the most fuel efficient fleets in the country. Our “Green Initiative” not only reduces our carbon footprint, it helps to lessen our countries dependence on foriegn oil. Please allow us the opportunity to prove our customer service excellence.
" Hauling Heavy, Treading Lightly "
Control your transportation costs by entrusting our specialized team of Logistics Professionals to efficiently serve your transportation needs. 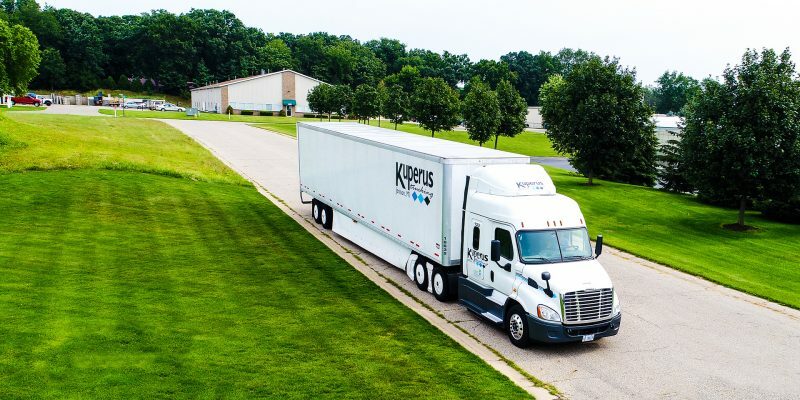 When you utilize Kuperus Trucking’s transportation services for your dedicated fleet, you receive quality equipment and personnel to handle any transportation need. 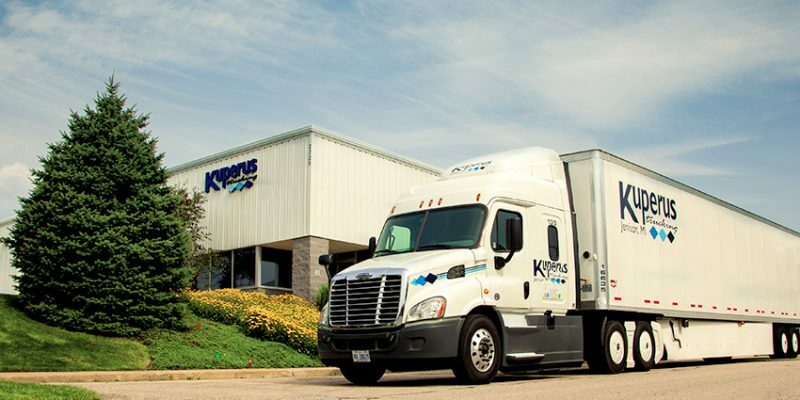 Kuperus dedicated fleet offers truckload services and labor capability for loading and/or unloading, almost like having your own transportation team! 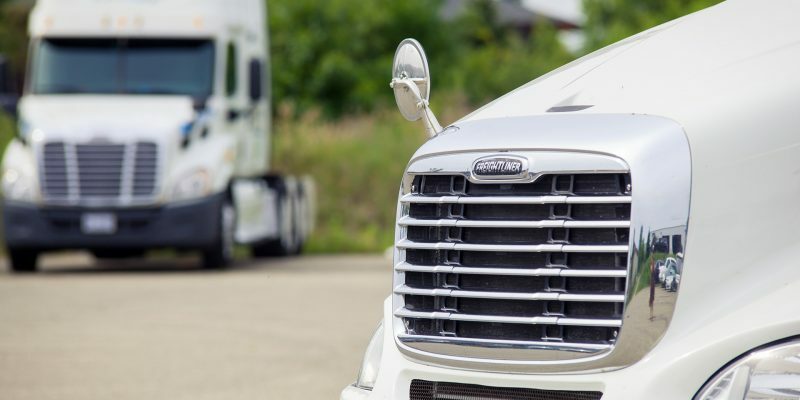 We like to offer our customers options depending on their needs, so whether you require a single driver and truck or a fleet of drivers and trucks, we can help. The primary benefits of using our dedicated fleet is “cost reduction” and “improved service”. Owning, operating, and maintaining your own fleet is capital intensive. Not only do you have the cost of ownership, you have the cost of recruiting/hiring drivers and maintenance on your vehicles. 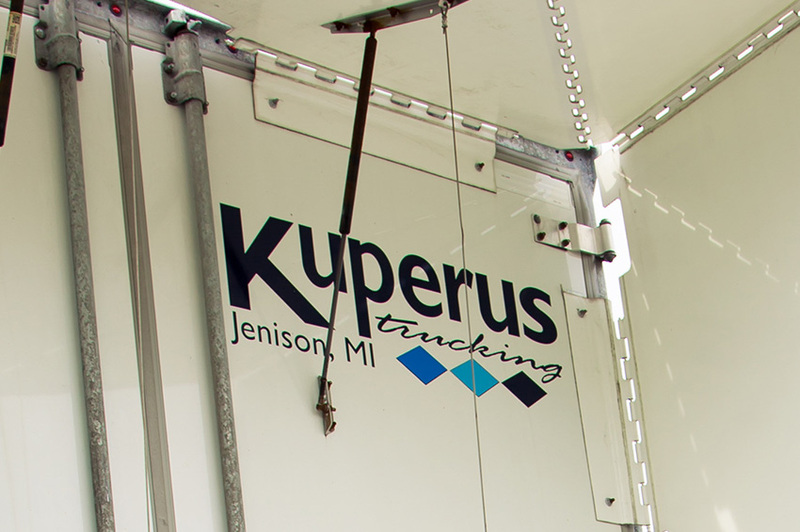 With a Kuperus dedicated fleet, your expenses are kept to a minimum and your costs are predictable. When you are working with multiple providers for your transportation needs, your projects can become complicated and expensive to manage. 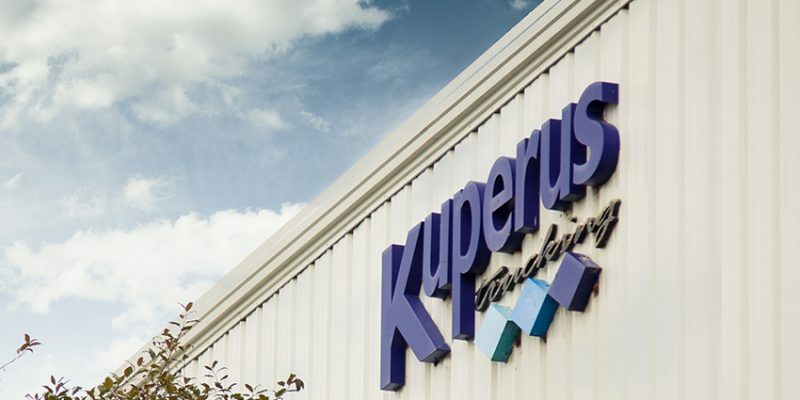 Kuperus offers many additional services to your dedicated fleet, which streamlines your transportation and logistics operations to ensure success. Kuperus Trucking’s team of professional transportation specialist are prepared to help you to control cost by managing your logistics needs. No need to fear that outsourcing logistics management will reduce control, worsen service or increase costs. Our history of award winning service proves that our customer service programs are effective and our nationally recognized improvements in fuel economy will ensure cost containment. Both you and your customers will benefit. Our founder, Myles Kuperus has garnered numerous national awards for fuel efficiency and emissions control from the following sources: SmartWay, Heavy Duty Trucking Magazine, Fleet Technology Expo and Transportation and Logistics Inc. When Myles started Kuperus Trucking he realized that trucking was a very capital intensive business and in order to thrive, he would have to control cost. He approached saving fuel as a way to help manage costs. What started as a necessity, soon became his passion. He will tell anyone that listens, that for every gallon of diesel fuel saved, it is 22.36 less pounds of Carbon Dioxide – (Greenhouse Gas) released into the atmosphere. 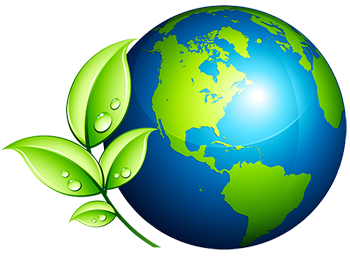 Myles consults with companies that wish to both save fuel and lessen their Environmental Footprint. In addition, he gives presentations to 5th grade science classes on how science can help save fuel, improve highway safety and lessen greenhouse gases. Kuperus Trucking offers award winning service at competitive rates. Please allow us the opportunity to prove our customer service excellence. Trucking is much more than moving product from point A to point B. We utilize some of the most technologically advanced satellite tracking, dispatch software, EDI communications and equipment to offer Premier Truckload Service. We listen and adapt our services to satisfy your shipping needs. Why pay premium expedited charges when Kuperus Trucking can offer same day pick up and delivery in many lanes at no additional charge. With our continual freight flow operation and the short length of haul in many lanes within our coverage area, we deliver much of our freight same day. Certainly, flexible pick-up and delivery times help. Call us today, or click on the “Request a Quote” tab below to take advantage of our premier service at competitive rates. All lanes not schedules for same day delivery, will be delivered next day. We’re excited to offer these aggressive service standards and proud of our award winning on-time performance. 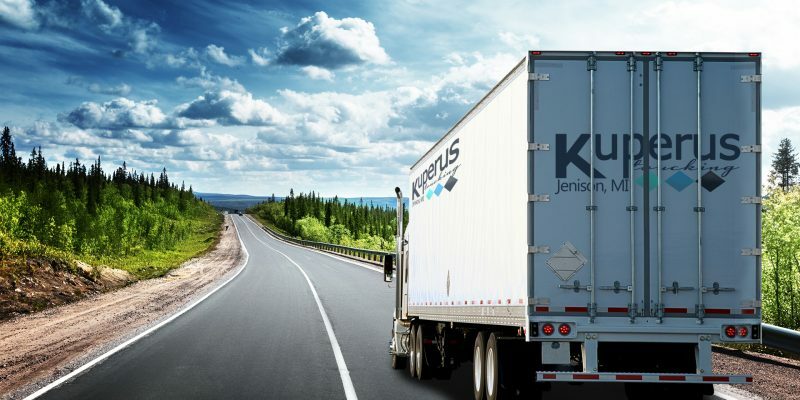 You can rely on Kuperus Trucking to meet and exceed your customers truckload delivery needs. Copyright 2017 - Kupernus Trucking, All Rights Reserved.